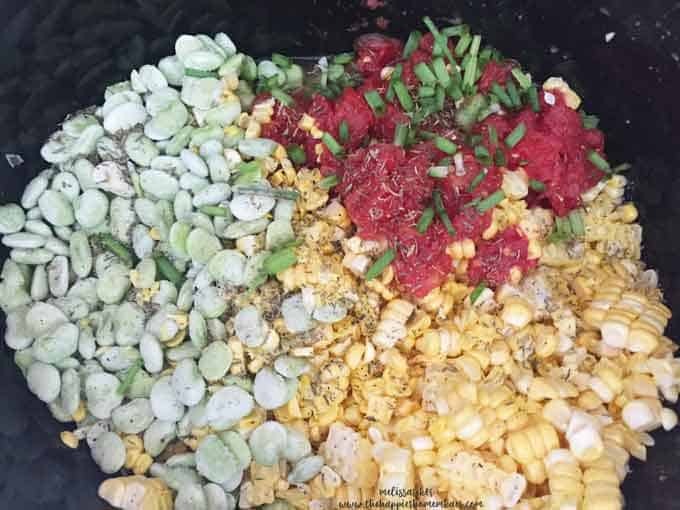 Before I even start on this Slowcooker Succotash recipe I have to tell you-succotash is h-a-r-d to photograph! There are certain meals or dishes I make to share on the blog that are almost impossible to capture in an attractive manner and this was definitely one of those! 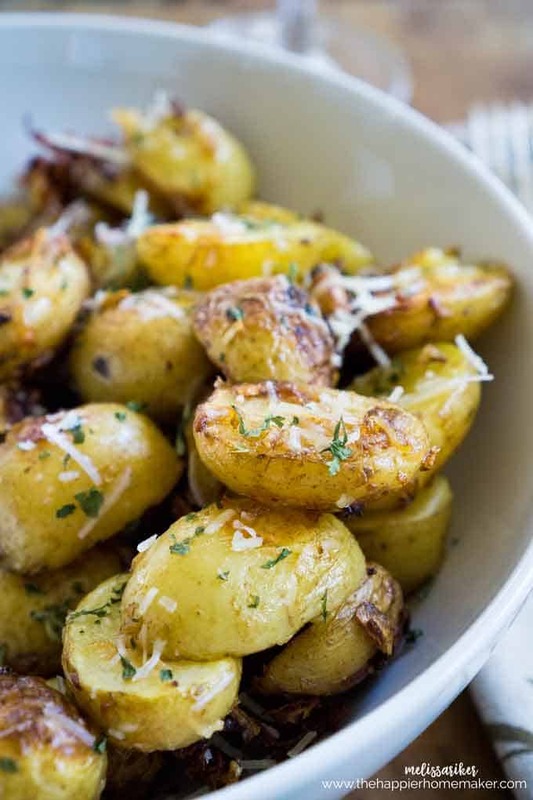 Despite the photo challenges I love this recipe SO much! I grew up eating succotash-it’s one of my favorite veggie side dishes. 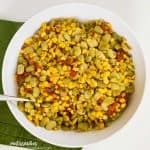 This version is made even better because it’s made in the slow cooker-allowing the vegetables and flavors to combine perfectly and making prep much easier! Combine all ingredients in slow cooker and stir. Cook for 7-9 hours on low or 3.5-4.5 hours on high. This pairs great with any meat main course but I recently found a new way to eat it: shrimp tacos! If you follow me on instagram you’d have seen my post about this-it was actually pretty funny…I had an odd assortment of leftovers and ended up using them to make soft tacos with succotash, shrimp and feta and they were delicious! Kudos to thinking outside the box! 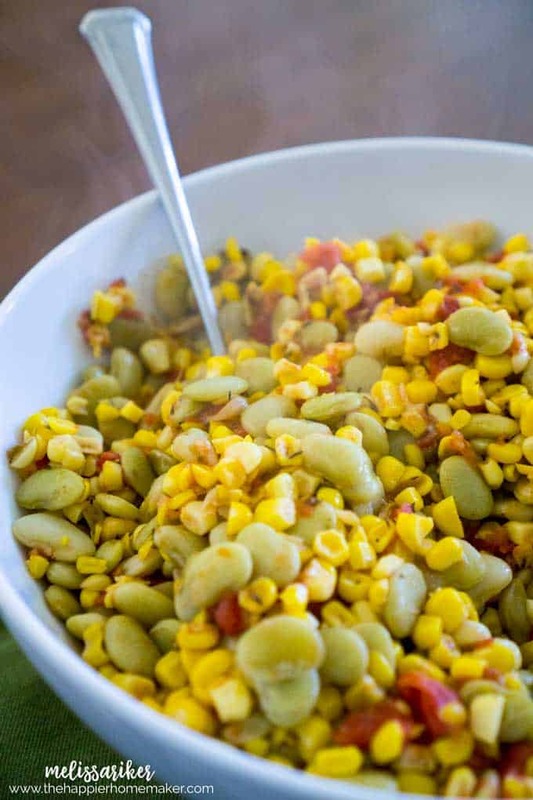 Do you like succotash? Do you have a variation of it that is different than mine? Let me know in the comments! Hi Melissa, I can’t wait to make this. I too love succotash. Many years ago when I was in college in CA I kept telling my roommates I was craving lima beans ( we had them often at home, but never at college). And I did crave them and made them every so often. But I think they thought I was a little crazy. Lima beans definitely don’t get the attention they deserve Kelly-I love them too! 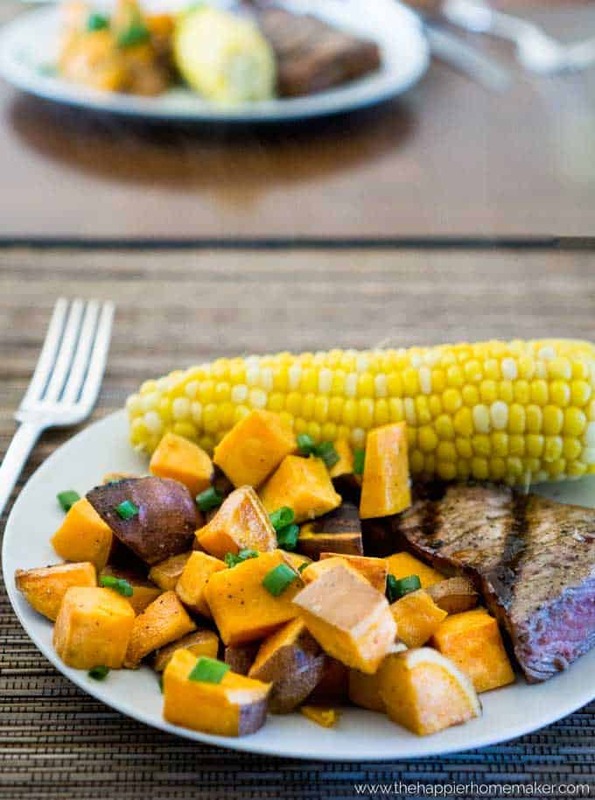 I use sweet white corn instead of yellow corn. It really makes the dish unique.